Eileen Caddy, founder of the Findhorn Community in Scotland, which is based on the values of planetary service, co-creation with nature and attunement to the divinity within all beings. Courtesy Fortean Picture Library. Many gardeners claim that they have seen nature spirits among their flowers and vegetables. In the 1960s, Peter Caddy founded a community known as Findhorn, on the barren, windswept coast of Inverness, Scotland. When Peter Caddy and his wife Eileen started to work the area it was a truly inhospitable place, with sandy soil and sparse desertlike life. But in a few years the Caddys and some others who joined them were producing huge vegetables (42-pound cabbages and 60-pound broccoli plants), beautiful flowers, 21 types of fruit, 42 herbs, and a total of 65 different vegetables. They said their work prospered through love, and it was always acknowledged that their achievements were due to the help of the spirits of the land: the fairies and elves. Prior to forming Findhorn, Peter and Eileen Caddy and their friend Dorothy Maclean all followed disciplined spiritual paths for many years. They first went to northeast Scotland in 1957 to manage the run-down Cluny Hill Hotel in the town of Forres. This they did with remarkable success. Eileen received guidance in her meditations from an inner divine source she called “the still small voice within.” Peter ran the hotel according to this guidance, following to the letter the instructions of the “voice” in complete faith. In this unorthodox way, Cluny Hill swiftly became a thriving and successful four-star hotel. However, after several years Peter and Eileen were released from employment. With nowhere to go and little money, they moved with their three young sons and Dorothy to a trailer in the nearby seaside village of Findhorn. Trying to feed a family of six with small unemployment benefits, Peter decided to start growing vegetables, despite the sandy, dry, and inhospitable soil of the area. Dorothy discovered she was able to intuitively contact the spirits of plants—the devas—who gave her instructions on how to make the most of their fledgling garden. Peter translated this guidance into action and drew from the barren sandy soil of the Findhorn Bay Trailer Park huge plants, herbs, and flowers of dozens of kinds, most famously the now-legendary 40-pound cabbages. Word spread, horticultural experts came and were stunned, and the garden at Findhorn became famous. Other people came to join the Caddys and Dorothy in their work and soon the original group of six grew into a small community. Dorothy published a book which helped spread word of this strange but wonderful community. New community members came to live in trailers beside Peter’s and Eileen’s, and in specially built cedarwood bungalows that still house guests and workshop participants today. In the late 1960s, the Park Sanctuary and the Community Centre were built. The community still uses the facilities for meals and meetings. In 1972, the community was formally registered as a Scottish Charity under the name The Findhorn Foundation. In the 1970s and 1980s, Findhorn grew to approximately 300 members. In 1975, the Foundation purchased Cluny Hill Hotel as a centre for its educational courses and for members’ accommodation, renaming it Cluny Hill College. In the late 1970s, the Universal Hall centre for the arts was built by volunteer work. Its impressive stained glass facade housed a modern theatre and concert hall, a holistic café, dance and recording studios, and photographic and computer labs. 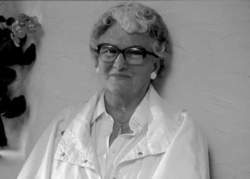 Throughout the 1970s and 1980s, the foundation continued to expand and published further volumes of Eileen’s and Dorothy’s guidance. These were translated into many languages. Dorothy’s autobiography, To Hear the Angels Sing, was published in 1980. In 1982, the Foundation bought the Findhorn Bay Trailer Park. Neighboring Cullerne House, whose gardens became the centre of organic vegetable production, was also acquired in the 1980s along with Drumduan House in Forres, where community members established the Moray Steiner School. Eileen’s autobiography, Flight Into Freedom, was published in 1989. Today the Findhorn Foundation is the central educational and organizational heart of a widely diversified community of several hundred people spanning dozens of holistic businesses and initiatives. Community members are linked by a shared positive vision for humanity and the earth and a commitment to the deep and practical nondoctrinal spirituality established in the Findhorn Community by its founders. Eileen Caddy still lives in the Findhorn Community. Dorothy Maclean now lives in North America and leads workshops around the world. She visits Findhorn almost every year. Peter Caddy left the Community in 1979 to work internationally, but returned regularly until his death in Germany in 1994. Peter’s autobiography, In Perfect Timing, was published in 1997.